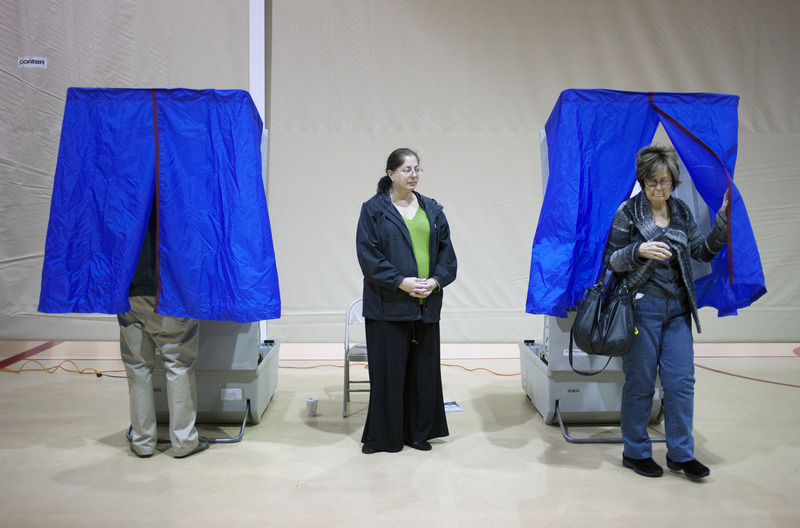 Voting in Pennsylvania just got easier for ballot-casters. A judge struck down Pennsylvania's photo-ID requirement Friday, saying that there was no convincing reason the law was necessary for the voting process. Judge Bernard McGinley also ruled the requirement unfairly burdened voters, especially after officials admitted there's never been a case of "election impersonation" — despite the ballot being billed as an "election security measure" by Republicans. The legislation was two years old and considered one of the nation's strictest voting laws: not a single Democrat approved its passage when it was signed by Republican Gov. Tom Corbett. “Voting laws are designed to assure a free and fair election; the Voter ID Law does not further this goal,” Commonwealth Court Judge Bernard McGinley wrote in his opinion, siding with Democrats to say it presented a "substantial threat" to the state's voters. "Certainly a vague concern about voter fraud does not rise to a level that justifies the burdens constructed here." The ACLU led the legal fight resulting in the ruling, arguing that it was a clear means of "voter suppression." Democrat lawmakers echoed this in their legislative arguments against the bill earlier, saying it was a means of discouraging votes from minorities and other citizens who are both less likely to have ID, and who tend to vote Democrat. While a voting-only ID card was created for the 2012 elections, testimony from representatives of the National Association for the Advancement of Colored People, Pennsylvania League of Women Voters, and Philadelphia’s Homeless Advocacy Project indicated that there were problems getting the cards out in time for the election. Despite the initiative's failure, the state argued the process wasn't inconvenient at all. This isn't the last time the courtroom will see this battle: It's likely the case will now go all the way to the Pennsylvania Supreme Court.